Save your favorite American West homes! Don’t have an account? Register to create an account now. Have an account? Enter your email address below to log in. Don’t have an account? Register to create an account now. American West reserves the sole right to make changes or modifications without prior notice. The model homes and floorplans represented may contain an exterior style, custom features/options and decorative items that is not reflected in the base price. Square footages are approximate and may vary in construction and depending on the standard measurement used. All renderings and floorplans including landscape are an artist concept and will vary from actual plans and homes as built. 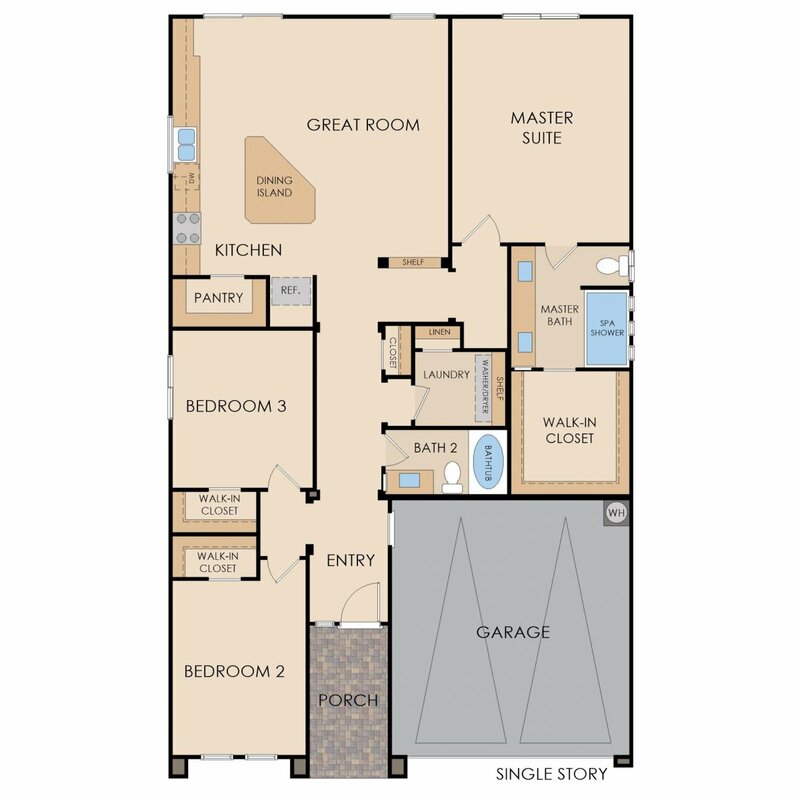 Floorplans shown in brochure are model elevations. The floorplans, renderings and photos in this brochure have been copyrighted. Unauthorized duplication in any form is prohibited by law.